Grundon Waste Management’s innovative CarbonNeutral® fleet certification programme is now helping Ugandan families to save money and lead healthier lives. By purchasing high-quality carbon credits through Natural Capital Partners, the company is supporting an Improved Cookstoves project, giving families the opportunity to reduce indoor air pollution; save money by using less fuel, which in turn reduces the impact on natural resources; and also providing support for the local economy. The programme is an extension to Grundon’s ongoing support for a community reforestation project in Uganda, which began in 2014 when it became the first of the major waste industry players to reduce all greenhouse gas emissions from its vehicles to net zero. The company already works hard to reduce its carbon footprint year-on-year, but remaining unavoidable emissions are offset through the purchase of high-quality carbon credits through Natural Capital Partners. It is the organisation that awards the CarbonNeutral® certification in line with the requirements of The CarbonNeutral Protocol* – the global standard for carbon neutral programmes. 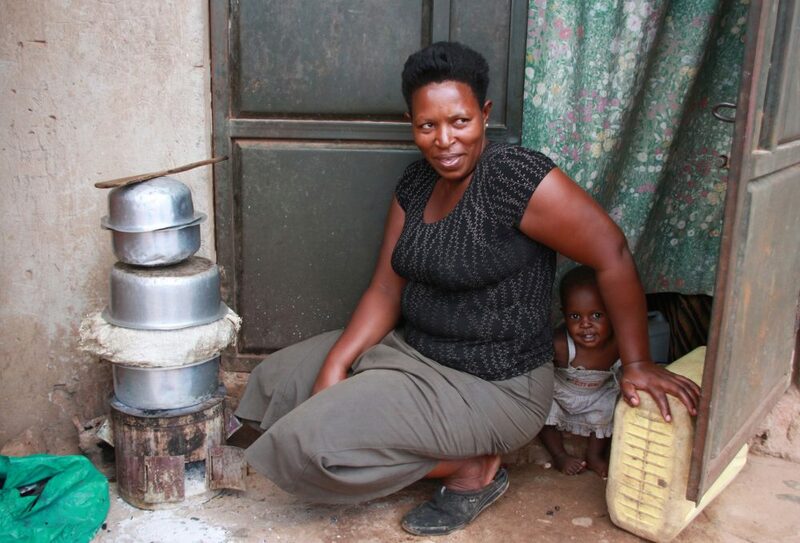 Toni Robinson, Compliance Manager at Grundon, who has visited Uganda to see the programmes first-hand, said: “The cookstoves are making a difference every day for families and it’s very gratifying to be involved with such a successful project. The Uganda Improved Cookstoves project works by subsidising the sale of fuel-efficient biomass and charcoal cookstoves. With simple design enhancements, these use an average of 50% less charcoal, making a big difference to families in terms of both time spent cooking and collecting fuel, and helping them to save for other important expenses such as health and education. In a further benefit, the cookstoves reduce the incidence of respiratory illness through a reduction in indoor air pollution, particularly for women and children who are often most exposed. Thirdly, the project offers employment to local people who are involved in its administration, as well as the promotion, manufacturing and distribution of the cookstoves. Sara Bell, Communications Manager at Natural Capital Partners, said: “The project works with local factories to promote the benefits of the cookstoves and helping people to understand what a difference they can make. To date, more than 480,000 stoves have been sold through the project, benefitting 2.4 million people. Mother of two Sarah purchased an improved cookstove three years ago after her oldest child was burned from a ceramic stove. Sarah has a dream of starting her own business, keeping her daily fuel savings in a tightly sealed wooden box. Joyce used to spend nearly seven hours every week collecting firewood but since buying an improved cookstove, she has been able to spend more time with her family and tending to her gardens. Single mother Mary, who lives with her parents and extended family of six, now spends the same amount of money on charcoal in three months, as she used to in just one month, creating significant savings so she can take better care of her family.